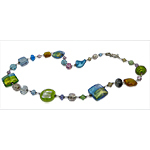 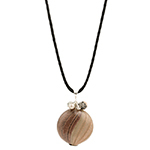 Fun necklace for jeans or dress-up. 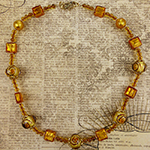 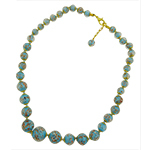 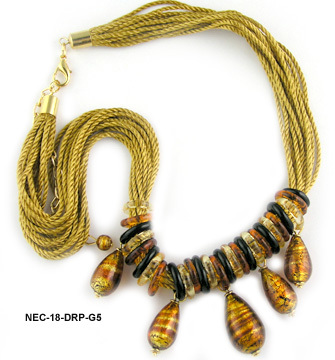 Topaz colored cotton cord with little rings of topaz and black glass with teardrops of Murano Glass over 24kt gold foil. 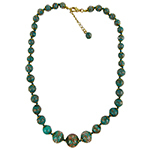 Gold Tone findings and a 2.5 inch extender complete this necklace.